Loiterers of Enmore may have noticed a quirky little bakery open some months back, selling Japanese curry rolls and cutesy custard bears. 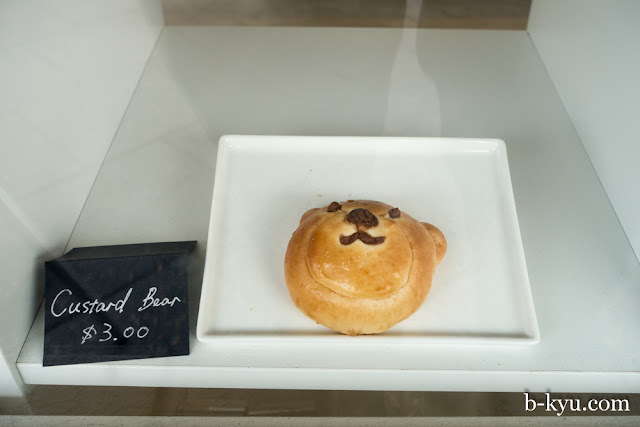 This is a real Japanese bakery. 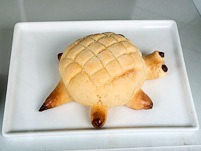 And Japanese bakeries are awesome. Bake Kobo has been open quite a while now but has only just recently started to snap into gear. They have some amazing stuff. Our favourites (in order) are the mentaiko bread, the custard bears, the regular country (rye) loafs and Japanese curry bread. We could certainly imagine mentaiko bread or custard bears becoming a smash hit with queues around the corner, but this is Sydney, you need the right marketing schtick first. In our humble opinion Bake Kobo's penultimate star treat is the mentaiko bread ($3.50). An excellent crusty white bread roll that is put in the oven for an extra ten minutes with a hearty dollop of mentaiko paste spread on top and into a lengthwise deep incision. The bread really is excellent, getting up there with Bourke Street Bakery and Brickfields. 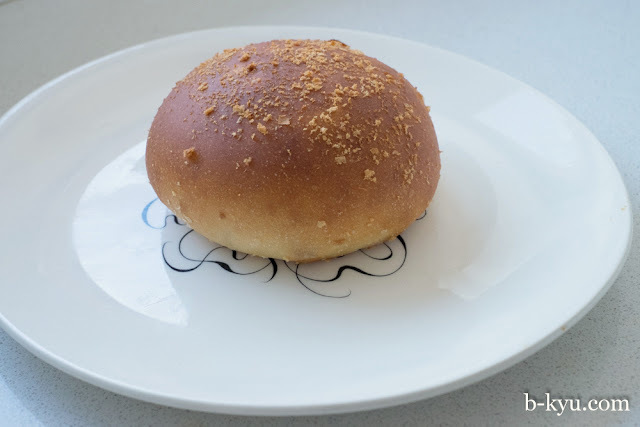 The mix of crusty bread roll and the sweet salty umami of the mentaiko paste is magic. If you love mentaiko pasta, you must try this. 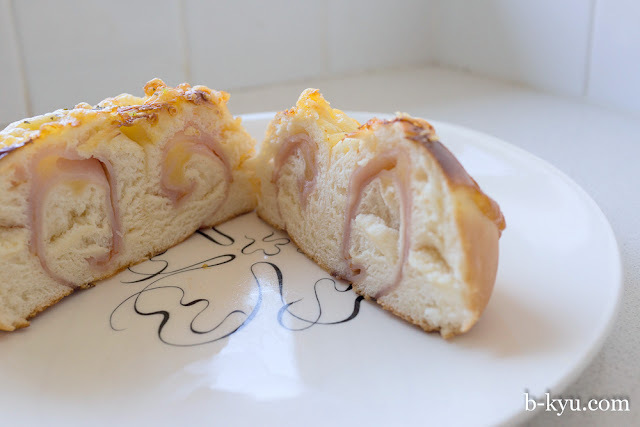 We've had several mentaiko rolls from Bake Kobo and the magic is yet to wear thin. As we write this we're cooking up some miso and veggie soup to have with our mentaiko rolls. Can't wait. There's usually some samples to try on the counter but you need to hook into a whole roll to enjoy the full textural wonder. The curry rolls are tops: the bread is light and savoury, not sweet like in a Chinese bakery. 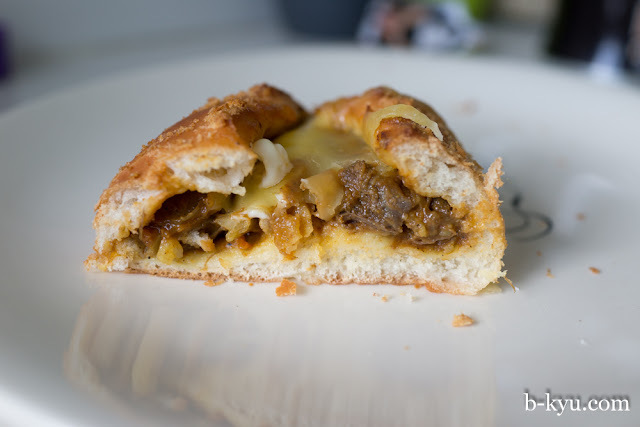 The curry is mild with some chunks of beef and melted cheese on top. Awesome. About $3. Bake Kobo is getting into the swing of the sweetie action. It was a tough choice between a custard bear, a green tea tart, and one of these fellas, Japanese citrus flavoured creamy cheesecakey goo between two little cakey-biscuits. It's not much bigger than a Monte Carlo making it a not-so-naughty treat. The 'country bread' is excellent, it's usually on display in the front window. 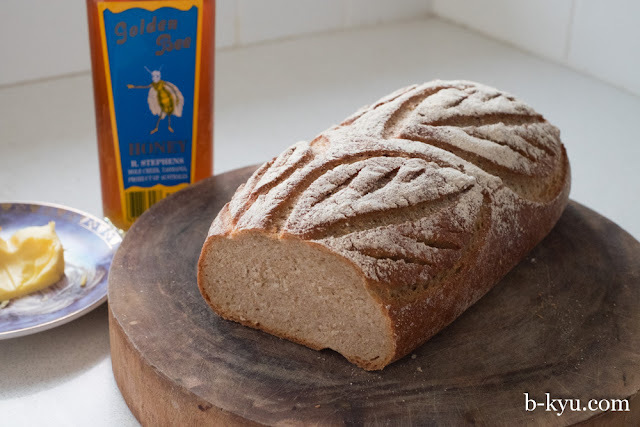 It's a dense, light brown, rye kind of bread. It's a small loaf but there's a lot of substance to it, a deal at $4.50. And there's a bonus pretty pattern on top. 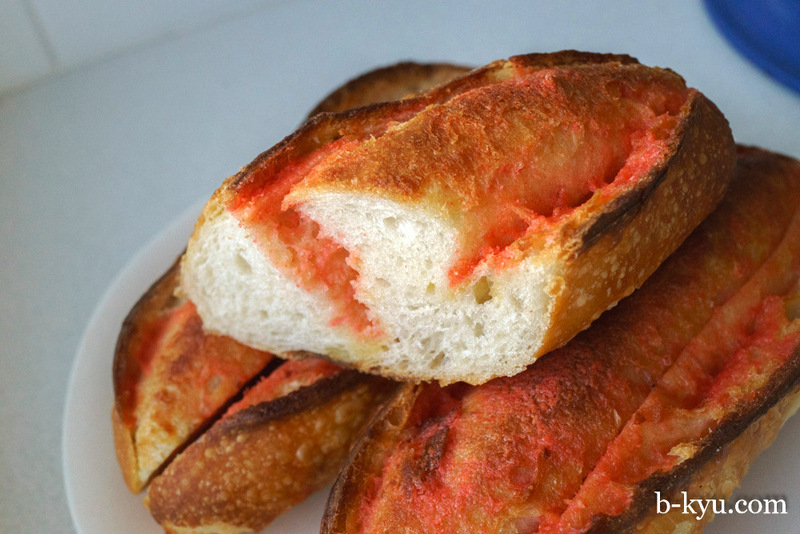 We liked the bread so much it was basically dinner one night, we heated up a can of tomato soup just for something to dunk bread in. It's excellent with Shawn's favourite Australian honey, R Stephens from Tasmania (just found this Golden Bee variety which we've never seen before, a bit milder from the Leatherwood honey, our penultimate favourite). Custard stick thingy - about $3.50. 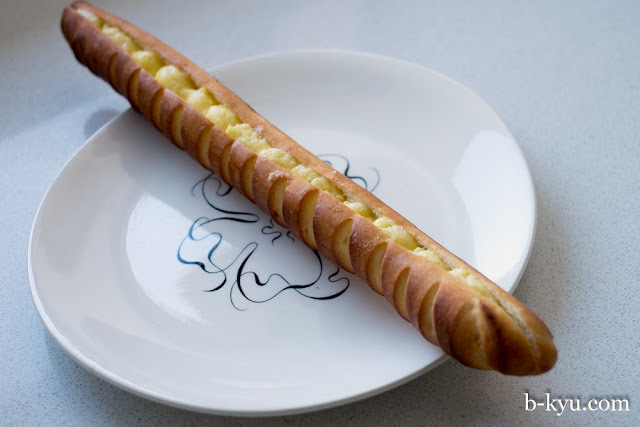 A semi-sweet doughy baguette thingy filled with custard. Yeah baby. 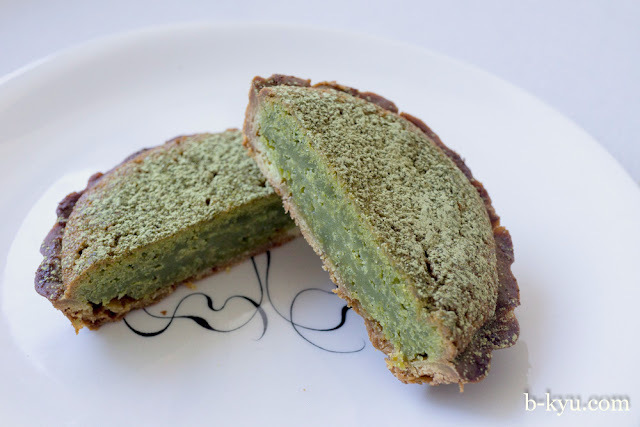 Green tea tart - about $3.50. 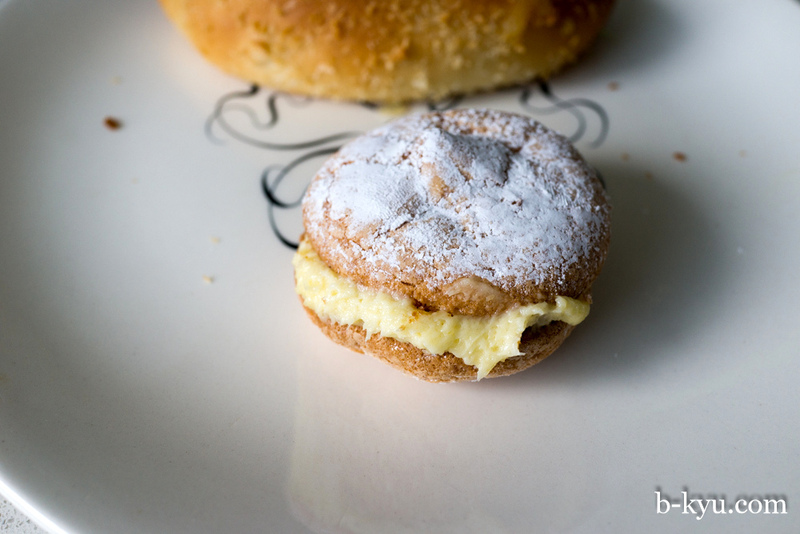 Lovely pastry with a dense green tea flavoured filling. Green tea tarts are always nicer in theory than practice. Egg and beef bun - about $3.50. 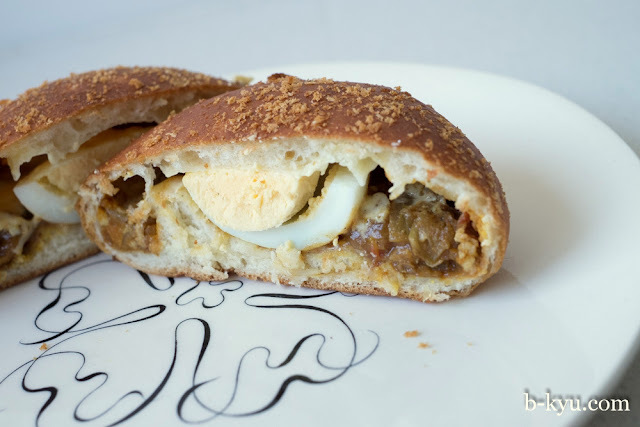 Egg and beef bun innards - filled with Japanese curry. 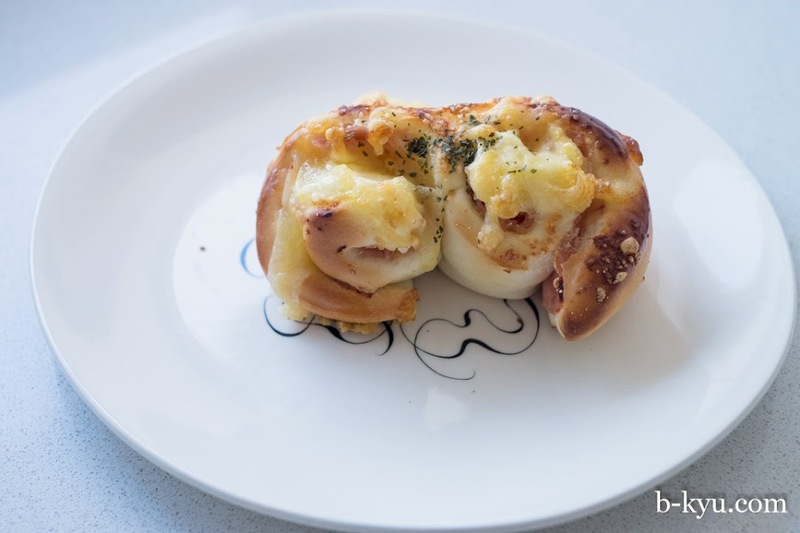 Cheese and ham bun - about $3.50. 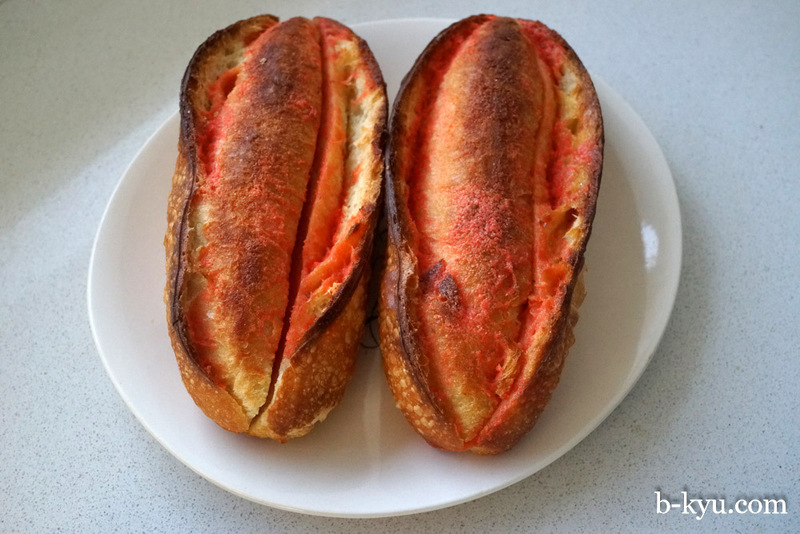 These are like your classic Aussie bakery cheesey buns but ten times as good. There's cheese and ham magically inserted in the centre of the soft white bread, and a nice crust of melted cheese on top. Winner. Crab croquette (I think) - about $4.80. 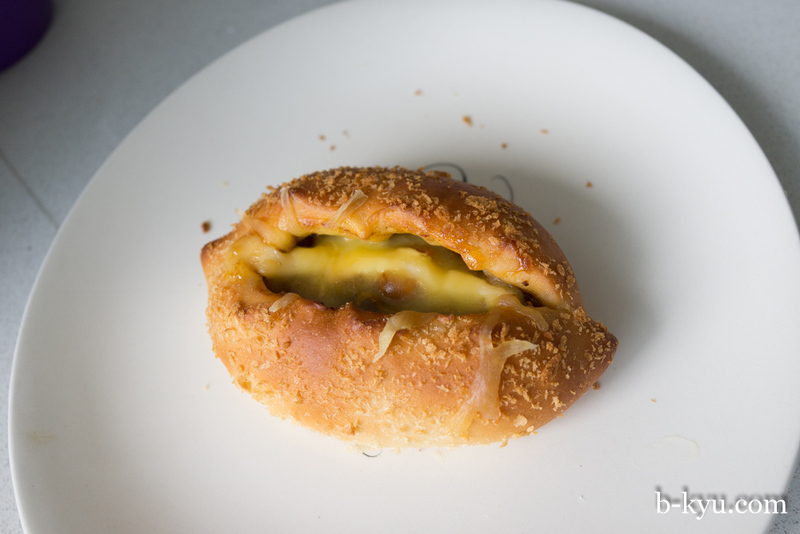 The bun is light and sweet but not super sweet as you would get in a Hong Kong style bakery. In the bun are two croquettes which are amazing, soft smooth potato mash goo crumbed and fried in crunchy panko, I assume. It is finished off with some egg salad livened up with a little fresh cabbage. Kransky roll - about $4.50. 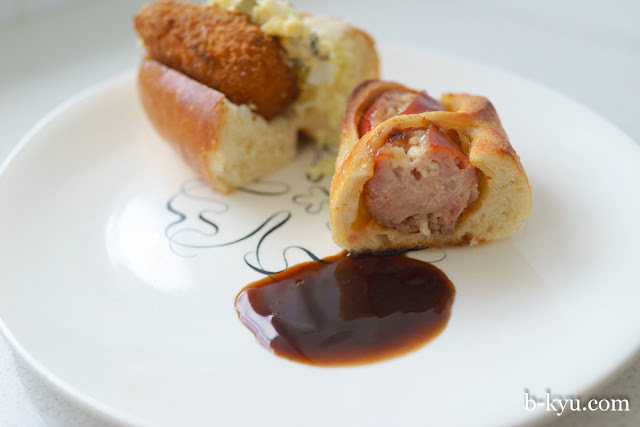 Now this is my kind of sausage roll, a fat hearty kransky plain and pure baked inside a crusty bread roll. 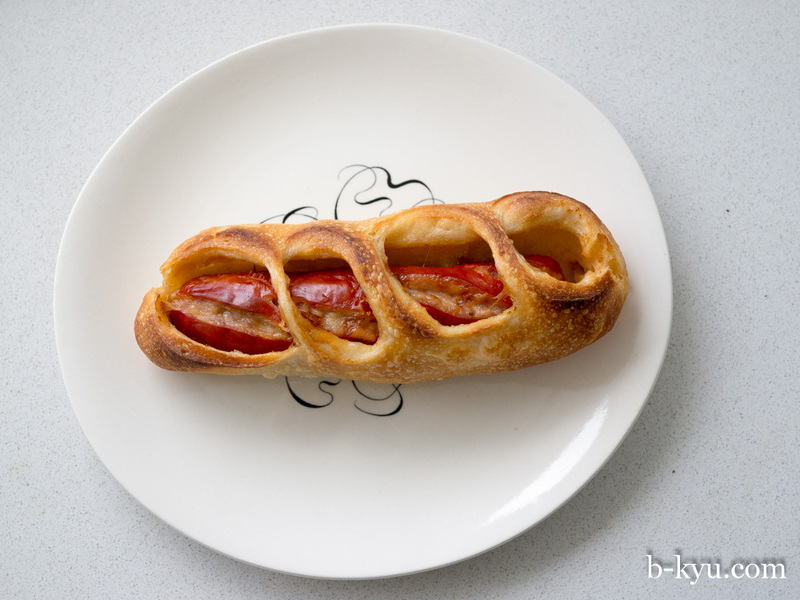 Excellent heated up and served with a dollop of bulldog sauce (Japanese bbq sauce) from the B-Kyu kitchen. The bread hardens when you nuke, next time I'll try a regular oven or maybe microwave paper. We looking forward to seeing how Bake Kobo develops, they've had a shaky start but they are creative and know their way around an oven. We urge all Sydney Japan-o-philes to get in an support them. 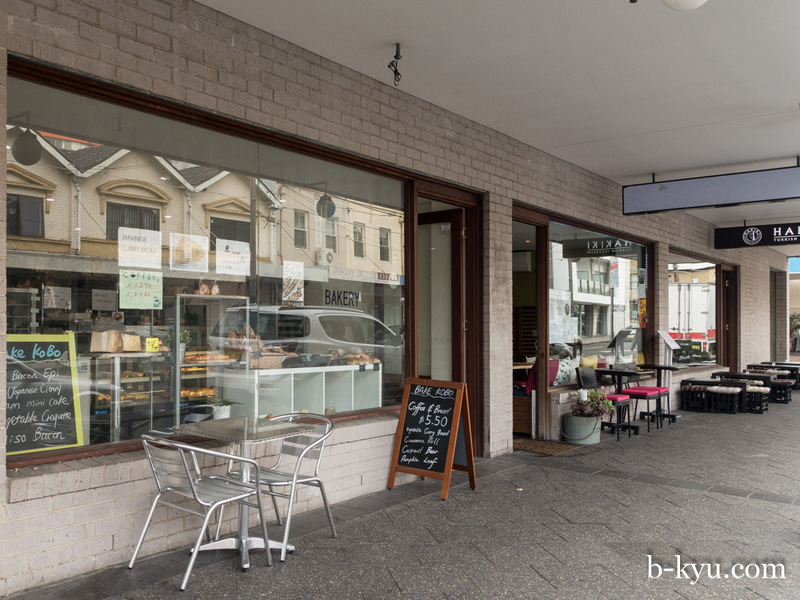 Bake Kobo Japanese Bakery is at Shop 3, 63-71 Enmore Road, between the Turkish ice cream joint and Stinking Bishops. Really like this little gem of a bakery. Also try the green tea cookies next time you are there! 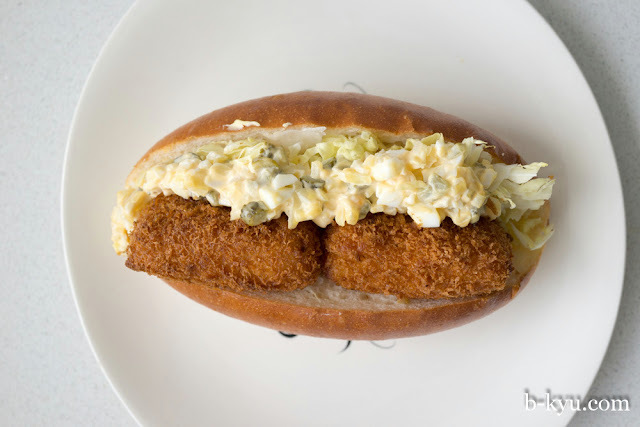 Shout out to you guys too for one of my favourite food blogs. Totally helped me with recommendations since I moved here. Keep up the fabulous work! Thanks el! We will be trying all their goodness. Glad to know we've been of some help to you finding places to eat. They buns look so cute!